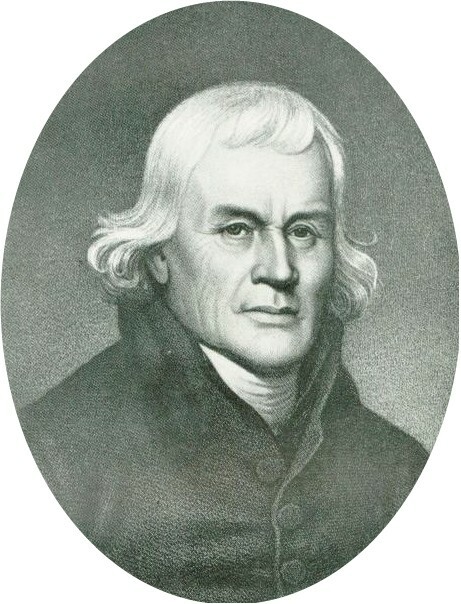 Francis Asbury was born on August 20, 1745, in Staffordshire, England. Asbury started out as a preacher at the age of 18 and became officially ordained at the age of 22 (Baker 106). He moved to America in 1771, where he remained for the rest of his life. Even during the tumultuous period during the American Revolution he stayed, while many other preachers left. In 1784, Francis Asbury, along with Thomas Coke, became the first ordained Methodist Bishops in America. Asbury maintained a journal throughout most of his life, and many entries reveal the tensions between ministers from the different sects of Christianity. In addition, many of his journal entries chronicle his travels as a circuit rider around the east coast of the United States (Rudolph 96). Asbury also supported the abolition of slavery during his life and he and Thomas Coke went many times before the southern legislatures to petition in favor of abolition (179). “Francis Asbury,” www.francisasbury.org (accessed April 16, 2008). Baker, Frank. From Wesley to Asbury: Studies In Early American Methodism. Durham: Duke University Press, 1976. Nygaard, Norman E. Bishop On Horseback. Grand Rapids: Zondervan Publishing House, 1962. Rudolph, L.C. Francis Asbury. Nashville: Abingdon Press, 1966. Tipple, Ezra Squier. Francis Asbury: The Prophet Of The Long Road. New York: The Methodist Book Concern, 1916.